I can’t think of anyone who relishes the idea of going home to the cleaning and ironing. People have busy lives nowadays and often work long hours and do demanding jobs thats why many have professional cleaners to do it for them. After getting home they want to relax or do other things like meet friends or go to the theatre. What they don’t want to do is start cleaning the toilet or cleaning out the bins. This is why it might be a good idea to get a professional cleaning company to come and do all the jobs you don’t want to do. Ironing, oven cleaning, dusting or putting clothes away, all these tasks take time and mean that instead of enjoying your free time you end up stuck in the house doing chores. If you are thinking about getting a cleaner to do your dirty work think about the types of chores you would like them to do. What thing do you really dislike doing or what is the most time consuming? For many people it is ironing. After all, it is very time-consuming, keeps you on your feet and you have to concentrate on what you are doing to avoid burns and marks. Most people have an ironing pile that they never seem to get to the bottom of. Wouldn’t it be nice to just be able to open your wardrobe and have all your clothes ready to wear? 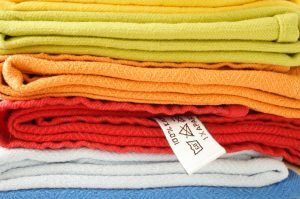 A professional ironer could even come and pick your ironing up and bring it back to you all ready to be put away. Goodbye ironing pile! Another task that is time-consuming is vacuuming. Time you could spend doing far more exciting things I’m sure. Giving the vac a quick run round is fine but to keep your house really clean a thorough vacuum is needed. Time and effort are needed to move the furniture around to get to those dust accumulating spots. Not to mention vacuuming the stairs! Pet hairs can be particularly hard to get rid of so get someone else to do it! In fact good vacuuming can even improve your health by getting rid of dust and debris that can affect asthma sufferers. A professional cleaner however can also come in and do regular daily tasks not just individual chores. Imagine leaving your home in the morning, clothes and towels on the floor, dirty dishes in the sink, grimy hob and carpets covered in bits. Coming home to that wouldn’t be something to look forward to but what if the magic fairies came in and cleaned it all up for you, so when you walk back through your door your house smells fresh, looks clean and is neat and tidy? Tidy house, tidy mind they say so give yourself a break. Get someone else to do your housework whilst you go and do something far more interesting instead. Contact Sam’s Cleaning & Ironing Services on 07712 227517 for professional cleaners in Chesterfield.